When we sit down to write a tutorial, we apply the same principles that we do for our class guides. They must contain all the information a beginner would need and they must be easy to follow. They must be packed with detail and they must have lots of photographs for visual reference. Our tutorials will teach you all you need to know, some have recipes and some have printable templates. We also have some free tutorials and recipes available. 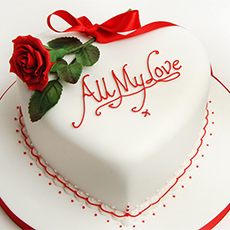 A 36 page guide detailing how to carve a heart shaped cake from a square tin, how to level, fill and cover and decorate your cake. It also includes an equipment and consumables list. You will know which tools and cutters are required, and we have provided a template for the heart that you can cut your shape from. 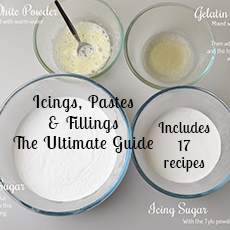 Updated September 2016 – This amazing 65-page guide now has 26 recipes covering so many icings, pastes and fillings for the cake world including a new recipe for home-made cake lace. 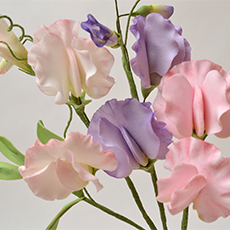 Plus, we include an extensive compare and review section (featuring 85 products) including Fondant, Candy Melts, Royal icing, Sugarpaste, Modelling paste, Mexican paste, flowerpaste, modelling chocolate and cake lace. A full list is available on the ‘Buy Now’ page. This is a 26 page guide that takes you step by step through the process of modelling seven different animals. We give you clear photos so you can see what you are making, as well as detailed description of what you need to be doing! 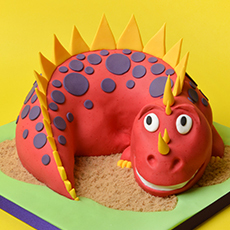 Learn how to make a Lion, Zebra, Crocodile, Cat, Dog, Frog and even a little ladybird. 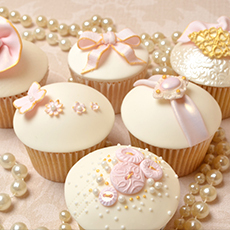 A 29 page PDF document giving full instructions on how to make these 6 Elegant Ivory cupcakes. 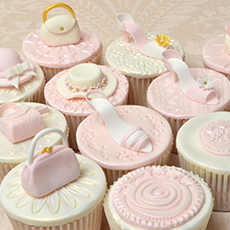 This guide gives you an equipment list, helpful tips on using plunger cutters and Blossom Sugar Art moulds, as well as instructions on how to make the six cupcakes featured here. Also included in this guide is a cupcake recipe, and two buttercream recipes. 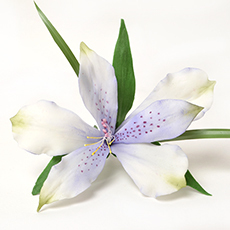 Another detailed tutorial that includes written and photographed instructions on making this pretty flower, including a tools and materials list. 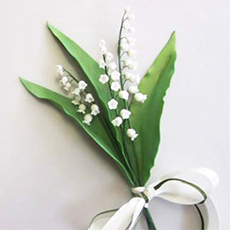 Our Lily of the Valley guide is a must for all beginners to sugar flowers, a very simple flower to make but it has a beauty that everyone admires. 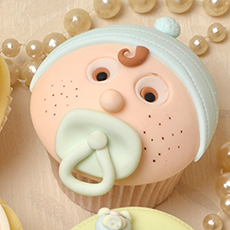 Our baby shower cupcakes will look amazing at any baby celebration, we have included designs that work for both girls and boys, so you can make cupcakes for any occasion. 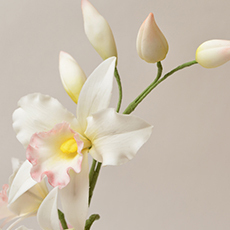 Our Cattleya Orchid guide will walk you through every step of making this beautiful flower, including the petals, the buds and how to wire it together. 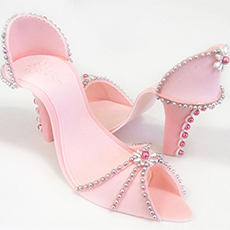 Our Designer shoe guide is a 21 page PDF that gives you detailed instructions on how to make these fabulous shoes, as well as other designs. It includes the templates so you don't need to purchase any cutters for these shoes and you can resize your templates to make them any size you wish! Wow your friends with these tiny little shoes in four different designs, plus four different hats, and four different handbags. 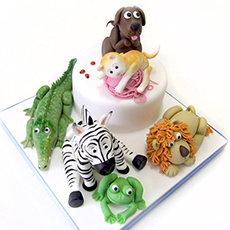 All can be made without buying any cutters or moulds! These are designed to fit on cupcakes. Fathers Day comes once a year. 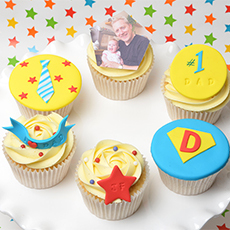 Help your little one create these cute cupcakes for his special day. 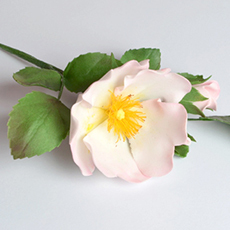 With full instructions on using tappits, creating buttercream swirls and roses, and creating a stripy effect on the tie. 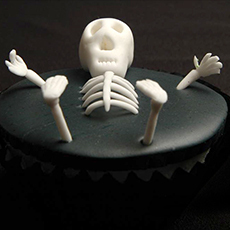 A 21 page PDF document giving full instructions on how to make our 12 spooky halloween cupcakes. Each cupcake has written instructions, photos and some include hand drawn guides to help you make these cakes for your halloween party. We have also included a recipe for basic cupcakes and it includes information on basic sugarcraft and some handy templates. 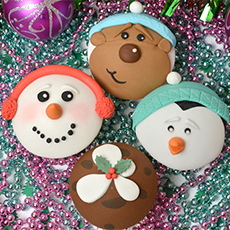 Each cupcake has full written instructions, photos and templates to help you make these festive cupcakes. 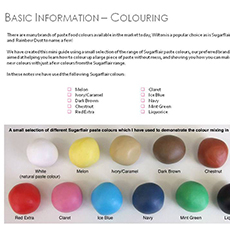 We have also included a recipe for basic cupcakes and it also includes lots of information on basic sugar craft, choosing a colour palette and creating domed cupcakes. This tutorial shows how you can make Snowflake with very few tools. Just a little edible glue (which you can make yourself!) a small ball tool and a dresden tool or cocktail stick is all you need other than your hands! . 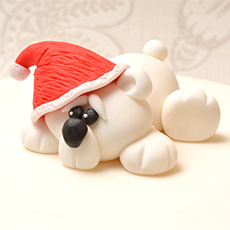 This is a 14 page guide that teaches you how to create this cute laid back santa as a cake topper. 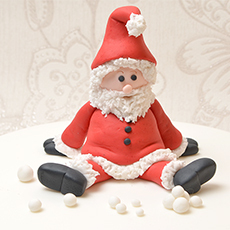 We give you the Equipment list, some basic information on modelling paste, then a detailed instructional guide, with lots of photos to show you exactly how to make this laid back Santa!. 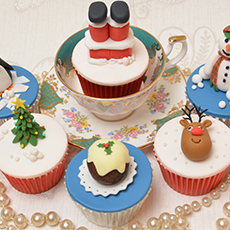 Each cupcake has full written instructions, photos and templates to help you make these cakes for your Christmas Party. We have also included a recipe for basic cupcakes and it also includes lots of information on basic sugar craft such as making your own flower paste, choosing a colour palette and creating domed cupcakes. This is a 24 page guide that teaches you how to expertly marzipan and ice a fruit cake. 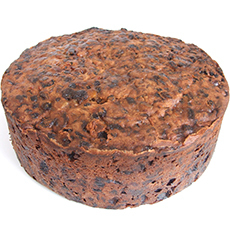 We give you the equipment list, some basic information on fruit cakes and how to handle them straight from the oven, giving tips on feeding extra alcohol into your cake, levelling your cake, and of course marzipan and covering.